What do you do on a Lazy Sunday Afternoon? Granny is sewing and there is nothing to do. I tried to organize her pin cushion. It was such a mess I had to give up. So I found Granny's comfy chair and read a book. I know you would have to be fairly ancient like Granny, if you read Epaminondas, when you went to school. It is about a darling little black boy. Granny says the pictures make her smile and she remembers the stories. Well she found one the other day and put it in her collection. Do any of you know these stories? If you lived close I could read it in bear language to you. It was a toss up between Brambley Hedge and Epaminondas. Well it is such a boring day !!!!! I might read them both. 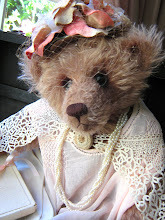 Granny has this on the table sewing today, it is very soft and cuddley. This little grey bear is certainly a long way from finishing. Granny was just trying him out to see if the violin would fit him. He has to go in a musical exhibition. Well if I had a mouth organ I go go in the competition!!***##. All that reading has made me hungry, you know what that means!!! Toast with peanut butter and honey on top. Plus a glass of warm chocolate milk. A Spring photo for all my lovely followers. You've got to put up with the rain." 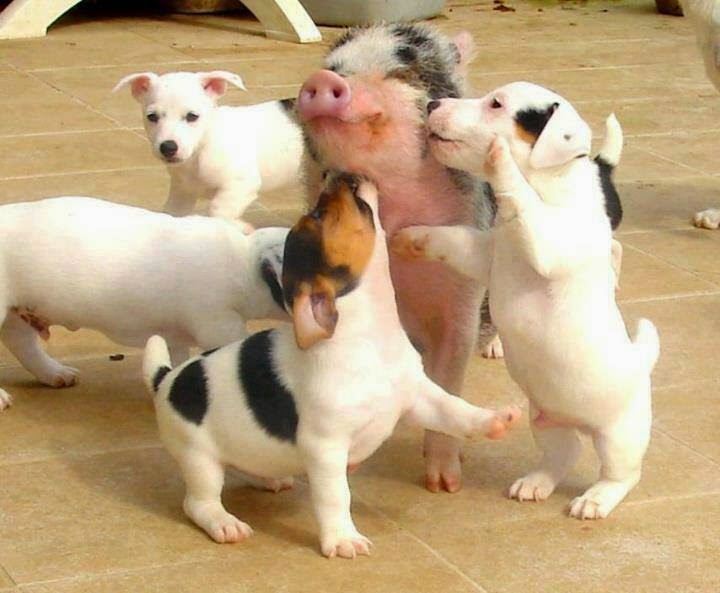 I love the puppies and piglet, so sweet. No, we don't know those books and I know how much you love reading, like at camp. The lil' cubs couldn't get enough of story time with you. Have you ever considered being a teacher? According to us there can be only one answer to the question "What to do on a Sunday afternoon"... - sure, having a nice, cozy Sundayafternoon-"Kaffeeklatsch"! *LOL* But reading is some kind of an alternative... we're looking forward to seeing Granny's newest bearies. Wilbur what a lovely books! and no, sorry I don't know the books but they look very interesting! If I lived closer you would read them to me in bear-language......maybe one day I must fly to you! Would love to hear your voice! Granny making a new bear!!!! Can't wait to see it finished! Great violin bear!!! Now I'm hungry too.......I need some peanutbutter on my sandwich....with sugar! Hugs little friend! and for Granny too!!! A lazy Sunday is a great thing! I also had one today. Unfortunately I did tonight but no peanut butter toast ... and get no nice story! Looks like a great way to spend a Sunday afternoon - know the Brambley Hedge books ( I have a couple) but do not know of the other. 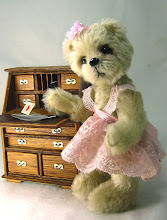 Love the sweet bear playing the violin. 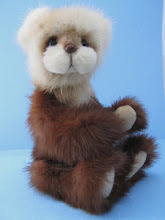 What a lovely post and you are quite industriously working on some more lovely bear productions! The grey one looks so lovely with the violin. The piglet with the puppies is sweet too. Toast with peanut butter and honey, warm chocolate milk and Epaminondas read in a husky bear voice. Sounds like the perfect lazy afternoon. I just stumbles across your blog. I live in Adelaide too!Oh those old stories. When I went(as Mature-age student) to college in late 70's these sorts of stories were frowned upon.But that didn't put me off. Kids loved them when I read them to them in my classes, and love them still. Good find! 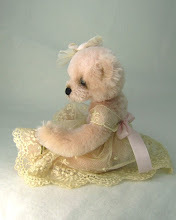 love your sweet dolls and teddies. Qui in Italia sta iniziando l'autunno, è così strano e bello vedere le foto della primavera! Buon We !